With its 1-Owner & Buyback Qualified CARFAX report, you can rest easy with this HHR purchase. This Chevrolet HHR also includes Power Driver's Seat, Clock, Climate Control, Privacy Glass/Tinted Windows, Power Steering, Power Windows, Power Mirrors, Driver Airbag, Passenger Airbag, Intermittent Wipers, Keyless Entry, Rear Defogger, AM/FM, CD Player, Cup Holders, Child Proof Door Locks, Carpeted Floor Mats, Aux. Audio Input. 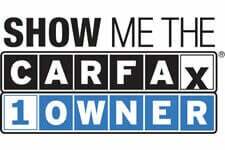 Own this CARFAX 1-Owner and Buyback Guarantee Qualified HHR today, worry free!